You have probably seen pictures of these islands before. Whenever anyone talks about a tropical paradise island, these are the pictures that come up. Yet few people know where they are and how to actually get there. The stunning islets you see above belong to none other than Indonesia’s Raja Ampat, a remote group of islands that have been called by some, a true ‘heaven on earth’. 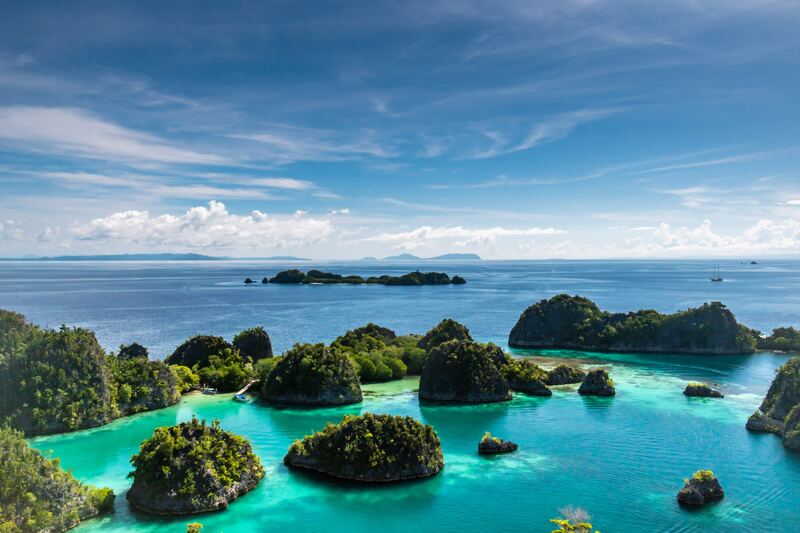 Raja Ampat is a hidden archipelago that sits in the Coral Triangle of East Indonesia, and is made up of four large islands (Misool, Salawati, Batanta, and Waigeo) and more than 1,500 smaller ones. It is an amazing collection of steep, jungle-covered islands with marvelous white beaches, azure waters, and endless coral reefs. Above the surface, it is a relaxing and sunny beach paradise. Below the surface, it is a scuba diver's haven, and known to be the most biodiverse marine habitat on the planet. Approximately 75% of the world’s marine species live here! Although the journey to Raja Ampat is long and complicated, it is well worth all the efforts. 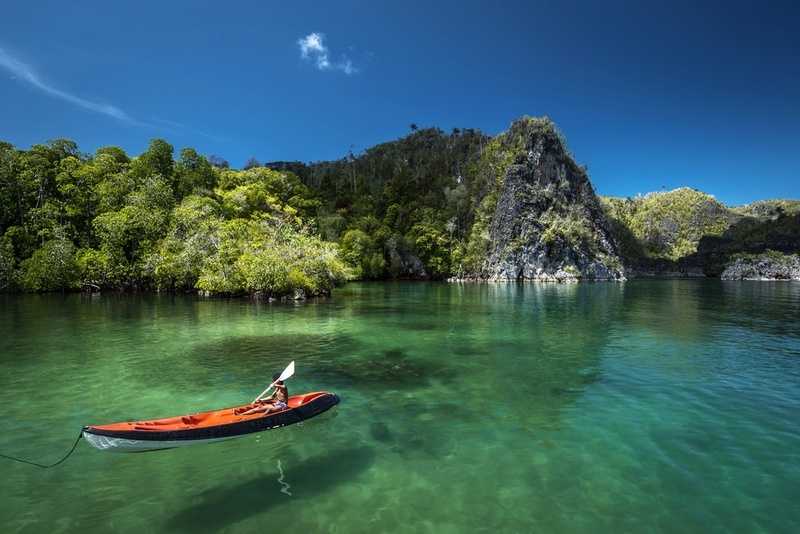 The best time of the year to visit Raja Ampat is during the months of October-April. It has a tropical climate, and is therefore impossible for visitors to avoid rain completely, yet during these months there is far less chance of rainy days. The perfect conditions are from mid-October to mid-December, particularly for diving visibility. Temperatures are hot all year round, with a maximum average of 31oC (89oF) and a minimum of 25oC (78oF), while air humidity averages at 83%! Furthermore, the water temperatures are always warm year-round, at 29oC (84oC). This is where it gets tricky. While it may be a tiring and annoying journey to get here, we want it to remain so, because this is what keeps the mass tourism away. 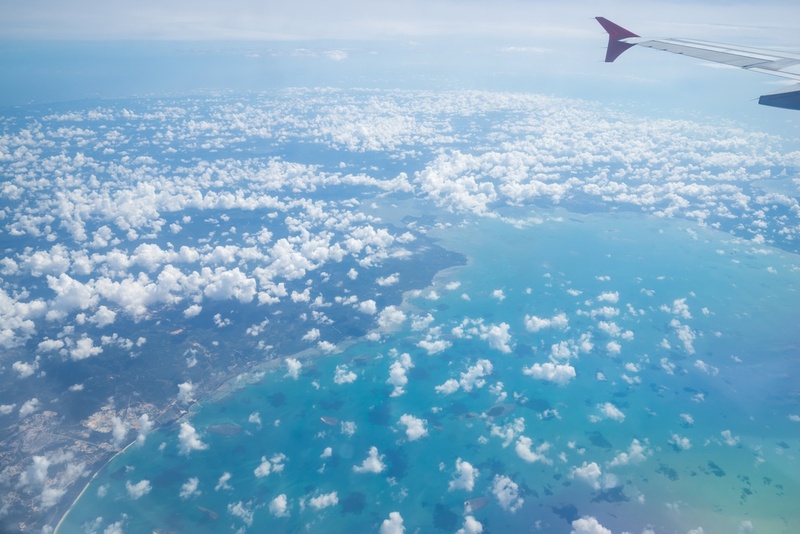 Traveling to paradise does not come cheap, but there are definitely ways of minimizing costs. There are currently no international flights to Sorong, which is where the ferry to Raja Ampat islands leaves from. Only a few airlines from Jakarta, Makassar, and Manado actually make the trip to Sorong’s airport, called Dominique Eduard Osok (IATA code: SOQ). Some of these airlines are: Xpress, Sriwijaya (Nam Air), Batik Air, Garuda, and Lion (Wings Air). If you are a backpacker searching for the cheapest way to the islands, there is also a 4-5 day ferry ride that goes from Jakarta to Raja Ampat and is more economical than the airplane tickets. When you plan your flights, it is important to arrive to Sorong well before 2:00 pm local time, since the ferry to Waisai, located on Waigeo island, leaves at that time. Take a 10-20 minute taxi ride from the airport to the harbor for about Rp 100,000 Indonesian Rupiah (Rp) (7-10 USD). Or, get a lift on the back of a motorbike for about 2 USD. When you get to the harbor, you will see the option of two ferries, the ‘express’ (which takes 2 hours to cross and approximately 15 USD) and the ‘slow’ boat (which takes 4 hours and approximately 10 USD). The difference? Time and price. The ferries will take you to the town of Waisai, from which you will have to organize a ride to your island and hotel. You can arrange for pickup with most of the resorts and homestays. Otherwise, you can find boats in the harbor that will be willing to take you. Moving between the islands by boat can be slightly expensive and a 2-4 person boat will cost you around Rp 2,000,000 per day (about 140 USD). To save money, you can always talk to other travelers to try to split costs. Keep in mind that patience is required when you travel so remotely, and long delays on the ferries are highly likely. Schedules can change without notice, and it is therefore important to ask your hosts or hotels to confirm the time of departure that day. Because of this, it is highly recommended that you leave one day early and spend the night in Sarong, so as not to miss your return flight. Accommodation in Raja Ampat falls mostly into three categories (resorts,homestay, and liveaboard). There are some wonderful small resorts on the island, many of them dive resorts. These offer a luxurious, bungalow-like experience. This is one of the best options if you are a serious diver, because these hotels have great, safe scuba instructors and equipment. Some highly recommended resorts are: Raja Ampat Biodiversity and Kri Eco Resort . For something a little cheaper, homestays run by locals are very popular. 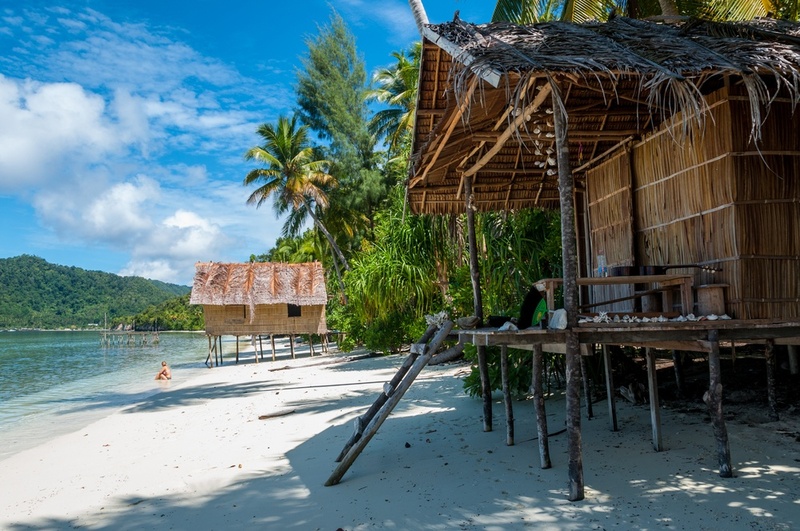 The islands Pulau Kri and Pulau Gam have some great options for homestays. For a list of accommodation options in the area, click here. Some of these also offer scuba diving, but they have little to no quality control and may not be as safe. Furthermore, the other exciting and popular option for accommodation are liveaboard dive boats, which sail from island to island, making stops at various islets and dive sites. These are basically luxurious, sailing resorts. It is an excellent option for divers and people looking to explore the small islands, because you get to see so much more. The Grand Komodo is one highly recommended option. Finally, for backpackers, the option of camping does exist, yet you must get permission from the locals and pay a small fee. Talk to the tourist office upon arrival for more information. No tourist visa is required to visit Indonesia for American citizens. Before or upon arrival to Raja Ampat, you will however need to pay a Marine Park entry fee of approximately 1,000,000 Indonesian Rupiah (Rp), which is about USD 70. The larger resorts will typically pay the fee for you, but if you are staying at a homestay, you will have to do this yourself. Permits can be paid for upon arrival in Sorong at the Raja Ampat Conservation & Tourism Information Center. If you are pressed for time to catch the ferry, you may also purchase the tags in Waisai at the Waisai Tourist Information Center. Furthermore, no vaccines are required for your visit to Indonesia, yet the generally recommended ones are Hepatitis A, Typhoid, Tetanus, and Poliomyelitis. 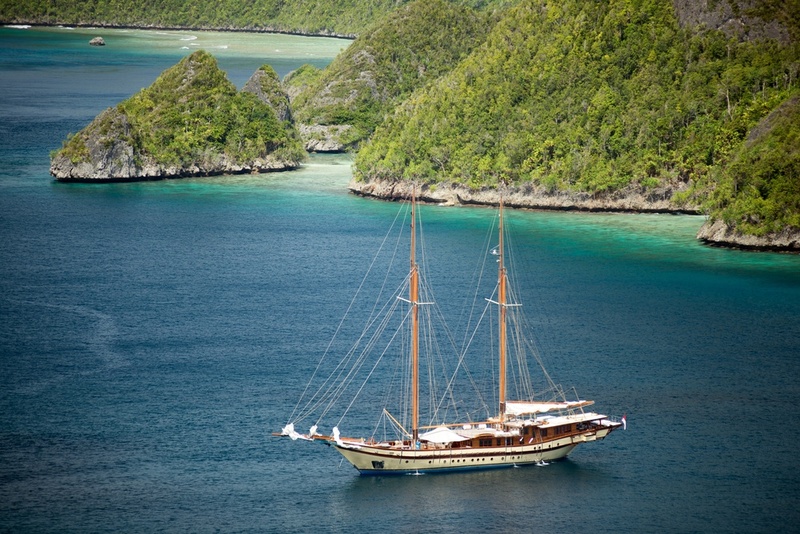 Because Raja Ampat is more remote, your doctor may recommend some other vaccines as well. Check out the Centers for Disease Control and Prevention’srecommendations. Although there is little information on the topic of malaria when you read about Raja Ampat, this part of Indonesia is located in a higher risk malaria zone. The transmission rates are currently very low on the islands, but good mosquito repellant is an absolute must, and anti-malarial medications are recommended. Talk to your doctor about the best options. Furthermore, the Zika virus is also present in Indonesia, so if you are pregnant or planning on getting pregnant, it may not be advised. What to Do in Raja Ampat? Finally, the fun part! After reading this article, you have probably realized that the number one activity in the area is scuba diving. 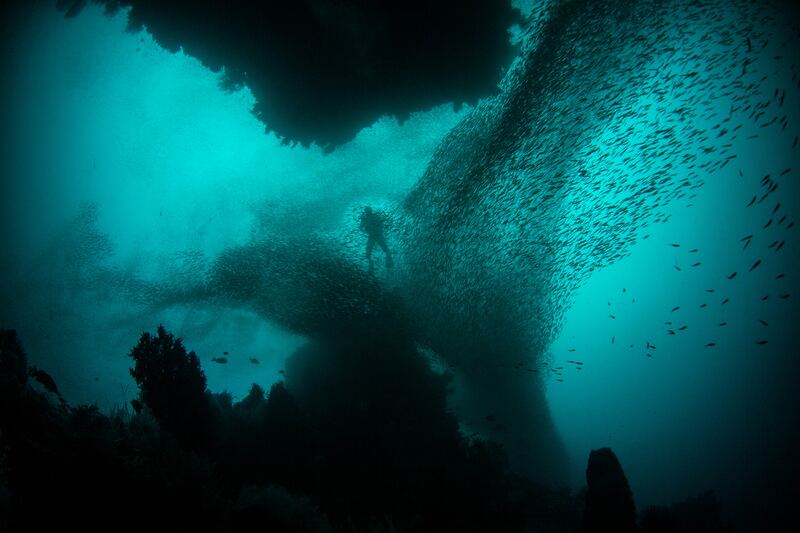 Raja Ampat is considered one of the best places in the world to scuba dive. There are ten times more marine species here than in the Caribbean! There are over 200 pristine dive sites and some fantastic places to snorkel and see the amazing array of colorful and luminous fish, corals, manta rays, giant clams, barracudas, parrotfish, sharks and even the sweet, tiny pygmy seahorses. For snorkeling purposes, many wonderful reefs are accessible from the beach. If you are not a scuba diver, it is still worth visiting these these idyllic islands with their picturesque relaxing beaches, beautiful views, amazing treks, cave snorkeling and exploring, kayaking, stand up paddle-boarding, and even spectacular birdwatching - Raja Ampat has a large number of endemic birds. Moreover, if you’ve always wanted to try out scuba diving, some providers offer discovery diving, which allows you to do an introductory, shallow dive to get the genuine experience of seeing the world from this whole new perspective. Island hopping is also popular, and there is no better way to get a sense of the true magnificence of the archipelago. Some favorites are the stunning Wayag Islands, Teluk Kabui, Fam islands, Cape Kri, and Misool. Now that you have all the information, what are you waiting for? Visit before it’s no longer a hidden gem.